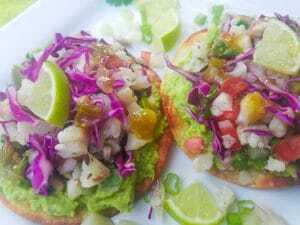 Easy Cauliflower Ceviche | Mexican Appetizers and More! 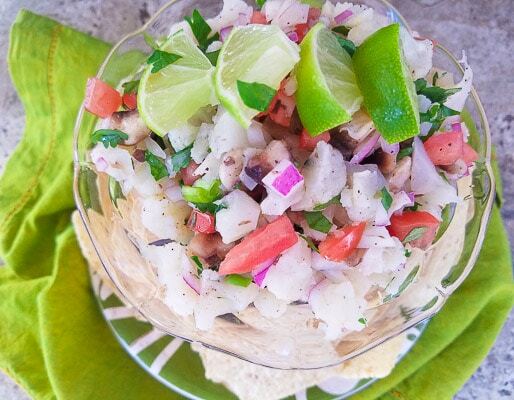 Ceviche is just a perfect dish anytime. Therefore, anytime of the year, anytime of the day or for any course. And this vegan, vegetarian version of ceviche is absolutely no exception! 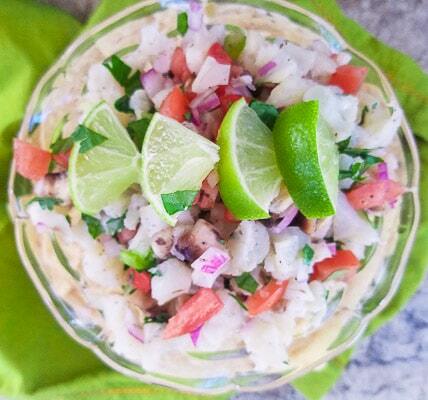 Of course traditionally ceviche is made with seafood. 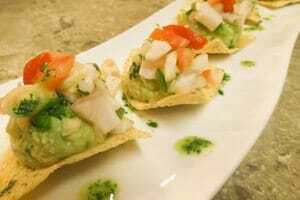 You will see shrimp ceviche, tilapia ceviche, scallop ceviche, just to name a few on restaurant menus or all over the internet. 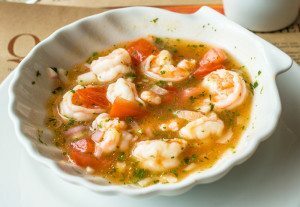 But if you are a little short on time to make a shrimp or fish ceviche, really consider making this cauliflower ceviche. 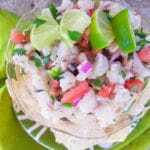 In 30 minutes or less, you will be enjoying that distinctive flavor that only ceviche has. 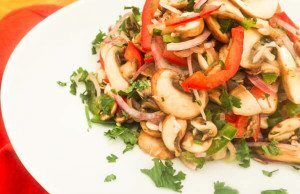 Begin with chopping up a red onion, mushrooms, tomatoes, scallions, jalapeño and cilantro. Then chop the cauliflower into florets. 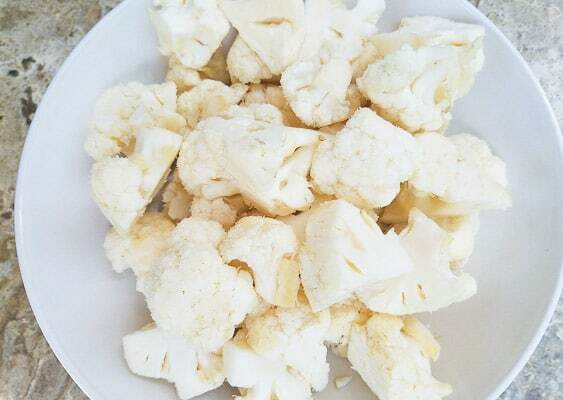 Boil the cauliflower for a few minutes in boiling water. Chop the florets into smaller pieces or finely chop. This part is a matter of personal preference. Mix all the vegetables, fresh lime juice and fresh cilantro together with a little bit of salt and pepper. Let the Cauliflower ceviche marinate for 25 minutes or overnight in the refrigerator. 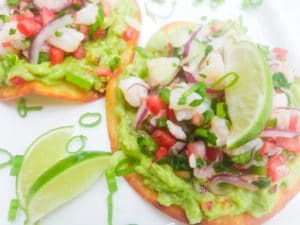 Serve with tortilla chips, on tostadas with mashed avocado or scoop ceviche in the center of a halve avocado. 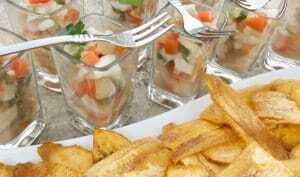 This ceviche dish is that simple! These are all hyper-delicious and easy to make ceviche dishes. 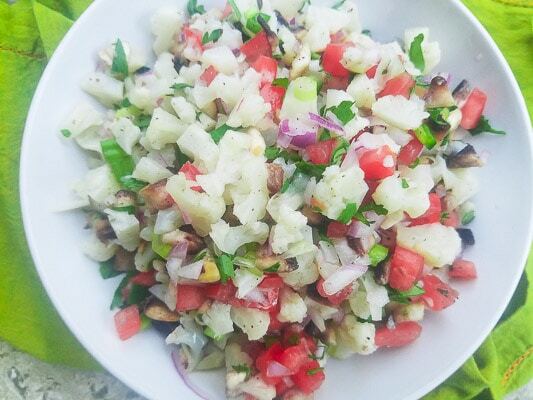 This Easy Cauliflower Ceviche recipe is perfect and delicious for vegetarians, vegans and meat lovers alike. 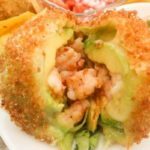 Serve with tortilla chips, on tostadas or on top of a whole avocado cut in half. 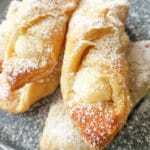 Serve as an appetizer, lunch or dinner. 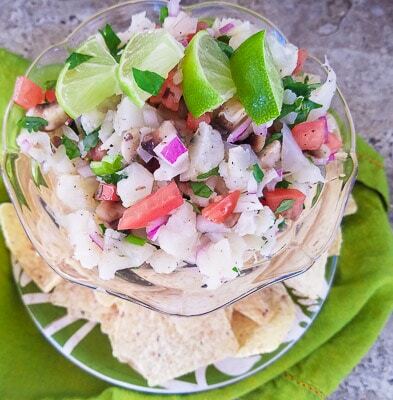 Extremely easy and refreshing ceviche dish. In a pot over high heat, boil water. Add cauliflower florets and cook for 5 minutes. Drain florets in a colander. Add florets to a bowl of iced water to stop the cooking process. Drain again. Chop florets into smaller pieces and all the vegetables. Add all to a bowl and mix well. Add lime juice and salt and pepper to taste. Mix all together well. 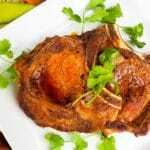 Marinate for 25 minutes in the refrigerator and serve with tortilla chips. Enjoy! If you cannot find tostadas in your local supermarket, you can also make homemade. 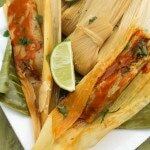 Simply add a tablespoon of oil to a skillet over medium heat and fry corn tortillas on both sides until golden brown. 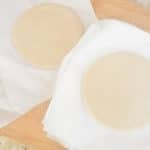 Drain on paper towels and corn tortilla will harden.